The highlight of the week was my Padawan coaching session with Jedi (aka Tony Doyle) from UK Bike Skills, where I finally learn to clear a table top with just a hint of style. I’ve never been the fastest down the hill, so this year I really wanted to get some professional help in the skills area. 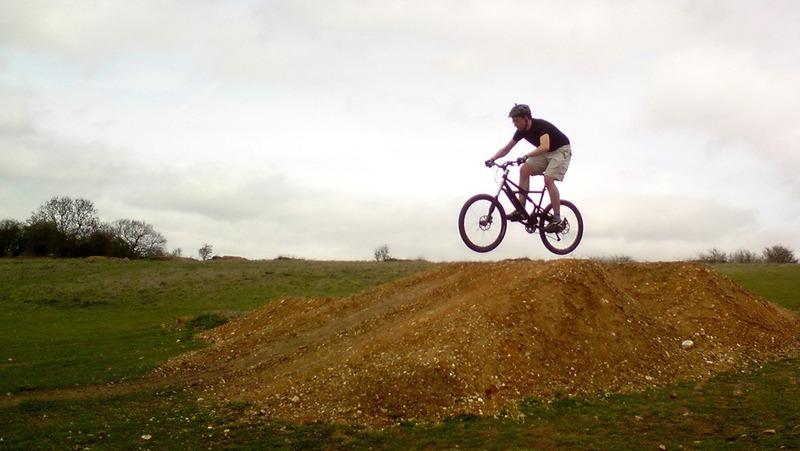 I have been riding mountain bikes since the late 90’s. I guessed I’d just learnt things the wrong way at the start. I liked the idea of progressive skills training and with a good reputation on Single Track World and with a nickname like Jedi, Tony looked like the man for the job. So with my voucher given as a Christmas Present, off I set to Herts. Tony starts by throwing a couple of sticks on the ground and we start with a simple figure of eight. Straight away he notices how I tend to spend a lot of time looking at the ground. Something I’m aware of but have never been able to stop. He also gets me to pop the wheel over another stick on the ground, as I nearly fall off the back of the bike, he kindly enthuses about my “massive push” … apparently that will be useful later. After quickly dispatching the drops, we move to the trail section. 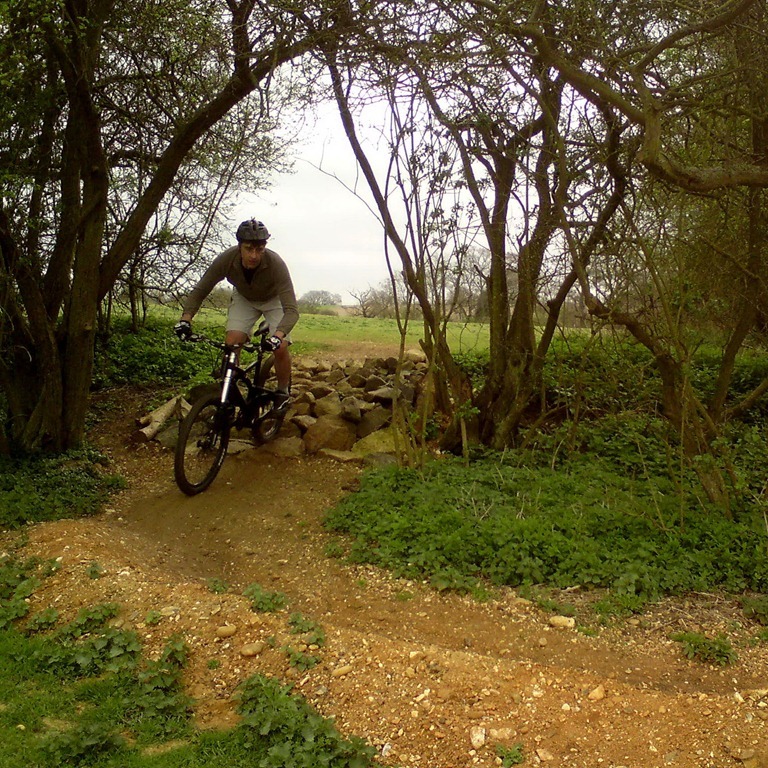 I’ve always considered myself good at pumping the trials and fast in berms, so it was a bit of a disappointment that my foot positioning and looking abilities were just as bad on these sections as elsewhere. Luckily this is where what seems like idle chat is in hindsight Tony getting you to clear your mind and focus on the trail. Slowly my ability to judge the best speed and position myself on the bike improve. After a very nice coffee break and tour of the herts shore, we’re literally flying down the trail, Tony following behind. I really enjoy the jump to berm section at the bottom. Before moving onto the table top which I do clear properly, just the once, before the wind changes direction, Tony shows me some alpine inspired switch back sections around the back of the trail. He kindly didn’t mention in his blog post my lack of confidence and commitment when I had a go, but this is definitely a feature I’d like to conquer on my inevitable return next year. Off to London later today so thought I’d try an early morning road loop. Nice morning and while I could feel my legs from yesterdays effort still good to get out. I do need to concentrate on get my average cadence up on these easy rides. Feeling the effects of two days in London. Did the short route in. Did feel fast but time wasn’t up to much. 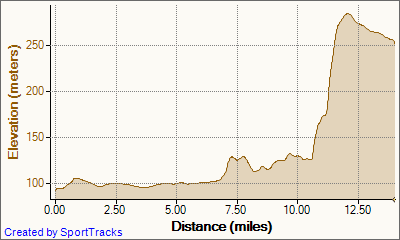 Not sure I can blame a 2.5mph head wind, so general fatigue is more likely. Quite a queue for the shower developing at work now clocks have changed. First commute home to the new house. No real surprises, but good to know last bit on the road is downhill. Big climb on the more direct option, will try the more steady route next time. Definitely felt drained at the end of it. Should eat more carbs in the day I think. Clouds were black to start, but sunny by the end. Trails drying out nicely but muddy enough in places to catch me out at times. Head wind on the final stretch home was hard work. Good to apply all good stuff Jedi put in my brain the day before. Finally fitness and skills coming together. This should be a lighter week, 8h of riding in total with a big 13h week after next. 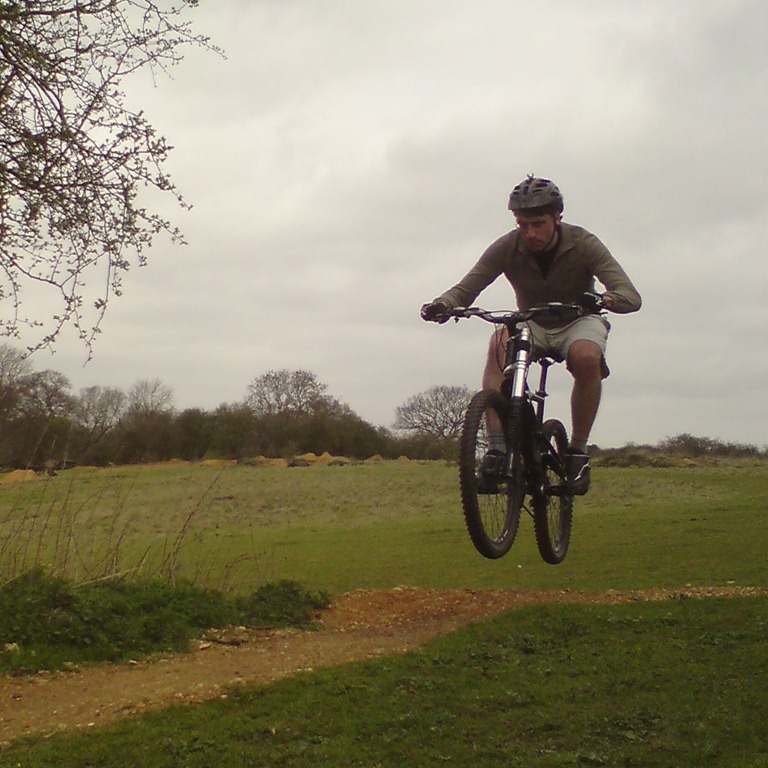 This entry was posted in Training and tagged Jedi, UK Bike Skills. Bookmark the permalink.